My calendar and rates are up to date. The dates you requested are available if the Calendar shows them to be available. 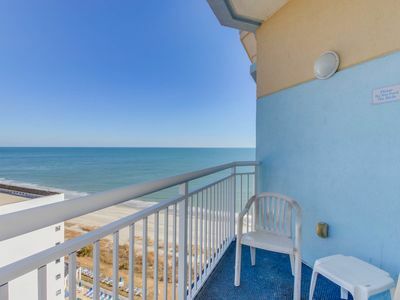 This is a side view oceanfront 1600 sq ft 3 bedroom/3 bathroom 7th floor condo located in the most desirable part of the north side of Myrtle Beach and sleeps up to 12 people comfortably. 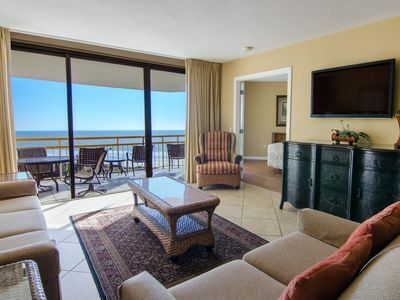 This condo has the largest floor plan with an unobstructed view of the Ocean. 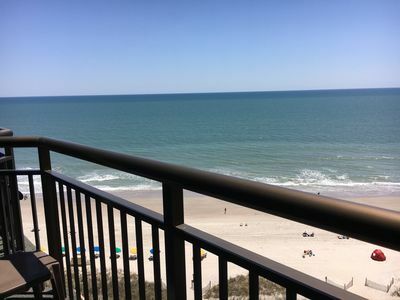 This condo offers a custom decorated Tommy Bahama decor, a granite countered full kitchen, washer and dryer in the unit, free wireless internet, a flat screen TV in every room with a DVD player and an incredible view of the Atlantic Ocean. 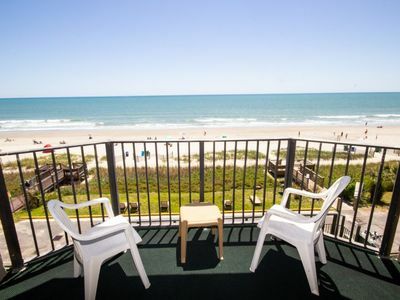 Linens & towel are provided with this rental. 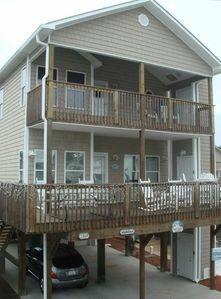 The master bedroom has a king bed with an in room private bathroom and private balcony. There is a queen bed in the second bedroom and 3 sets of bunk beds in the third bedroom. All bedrooms have a private bathroom. 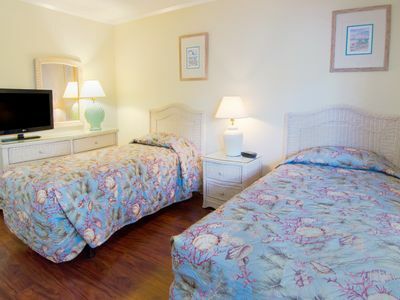 Every bedroom has a flat screen TV with a dresser and closet that gives you plenty of room for your person belongings. There is a sleeper sofa in the living room. 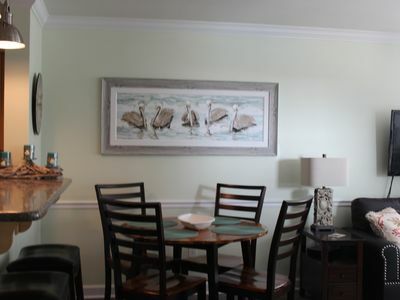 The kitchen is fully stocked with everything you need to prepare meals and snacks for you family including dishes, silverware, serving and cooking utensils, cookware, serving plates along with a stove, microwave, refrigerator, coffee maker, blender and toaster. 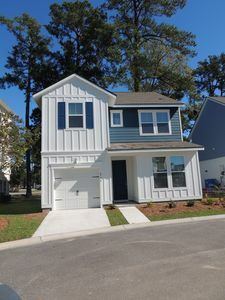 The unit is also equipped with a stack-able washer/dryer, iron and ironing board, hair dryer and wireless internet access. 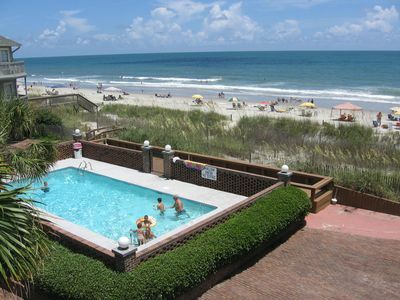 The resort offers many amenities including multiple pools including indoor and outdoor pools, a 200 ft lazy river, a kid's splash pool and hot tub. Connected to the property is a new water park that features a large swimming pool and many water based activities featuring a 60 ft tube slide. 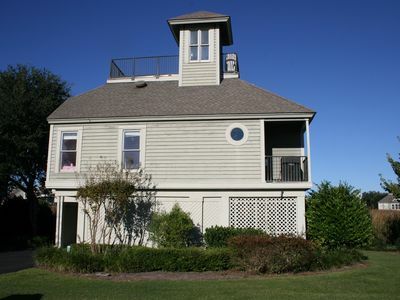 In addition there is an exercise room, game room, meeting rooms, gift shop and informal lounge. 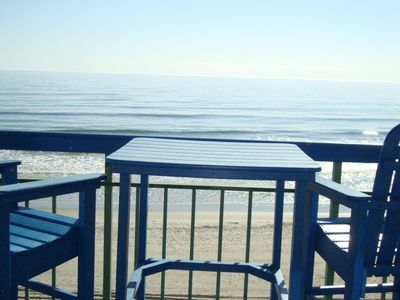 There are many fun filled family activities a short distance from the condo. The Pavilion, a family theme park is a short walk away. There’s also Ripley’s Aquarium featuring thousands of sea creatures. 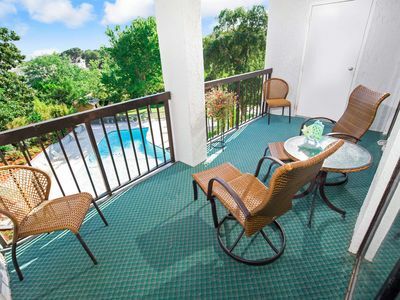 The area is filled with miniature golf courses, shops, water parks, mini-race tracks and eateries all just a short distance from your doorstep. There are shows playing at the Carolina Opry Theater, The Legend, and Palace Theater. The Sea Captain an award wining seafood restaurant located adjacent to this building. 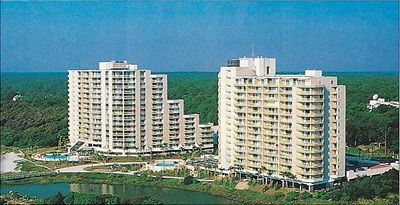 Myrtle Beach is a golf haven with over a 100 golf courses to choose from, all within a short drive from the condo. There are many restaurants and shops to fit every taste. 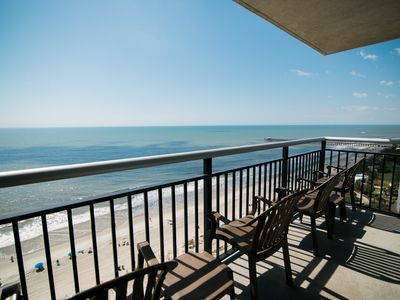 We’re certain that you’ll enjoy your stay in this beautiful 4 bedroom oceanfront condo. This property is Smoke Free. Guests may smoke on the outdoor balcony only. A $250.00 cleaning fee will apply if smoking occurs within a guest room. 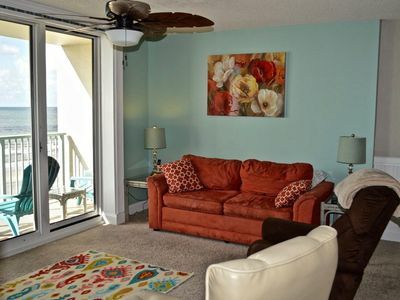 You must be over 25 years of age to book this condo. 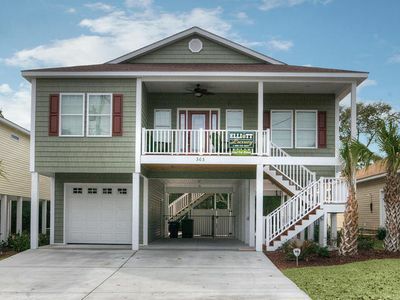 This unit comes with 3 covered parking spots. 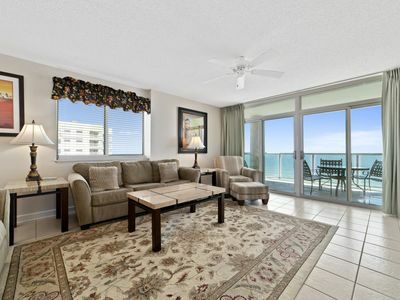 Keywords: Luxurious direct Oceanfront Condo, beautifully decorated. 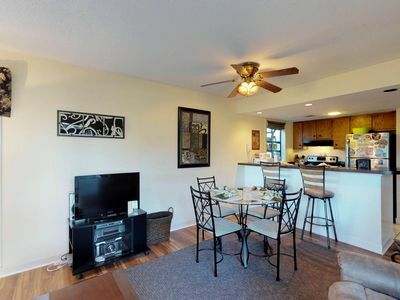 Looks brand new, feel at home with flat screen TVs and many more, Kid friendly. Click on the 'Book it' button and follow the instructions. The site will offer the option for you to buy cancellation protection and damage protection. It is totally up to you to take advantage of this or not. After this, you will have to read and agree with the rental agreement before you are able to pay the deposit of $350 with a credit card. The balance is due 60 days prior to your check in date. 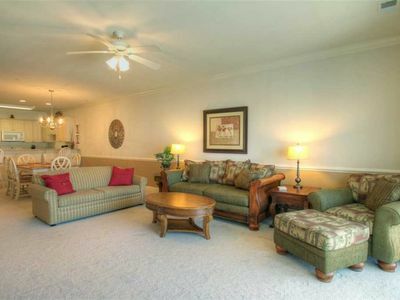 Beautiful lake view condo offers outdoor pool, wifi, & washer/dryer! All Taxes, Cleaning Fee and Linens Included! 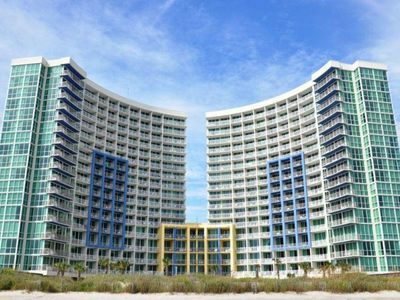 Laguna Keyes - 702 Luxury right on the beach!